Follow CPAC's coverage of the Conservative Party of Canada's 2013 convention in Calgary -- including the resolutions, policy debates, past conventions, and more!---Suivez la couverture de CPAC consacrée au congrès 2013 du Parti conservateur du Canada, à Calgary -- y compris les résolutions, les débats sur les politiques, les congrès antérieurs, entre autres. We're at the BMO Centre in Stampede Park for two days of policy debate and a speech tonight by Prime Minister Stephen Harper. Watch now as Peter Van Dusen talks with Conservative MP Erin O'Toole, parliamentary secretary for international trade. Government Senate Leader Claude Carignan fielding questions on referendum option and the continuing expense controversy. Seeing many tweets from inside the closed-door constitutional session indicating that the leadership selection rules are now being debated. #CPC13 Vote on C-132.....few green cards; killer amount of red (NO) cards! Defeated. No change in Leadership rule (1 more amendment). 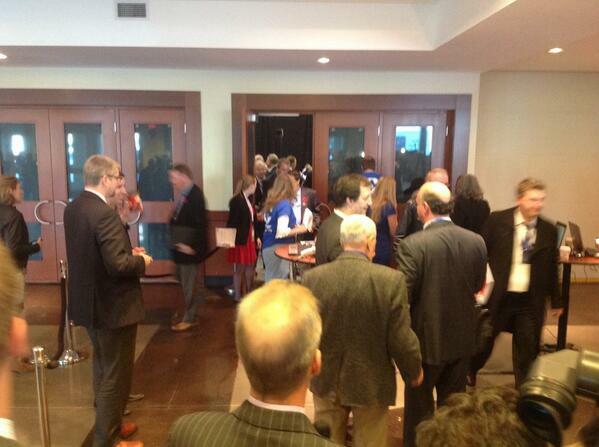 Doors closed to everyone during current vote in constitutional workshop, even convention co-chair Michelle Rempel. #CPC13 is debating giving far more Council seats to provinces with large numbers of seats...unanimously defeated. #CPC13 is now debating having all National Conventions only in Ottawa. It was unanimously defeated! 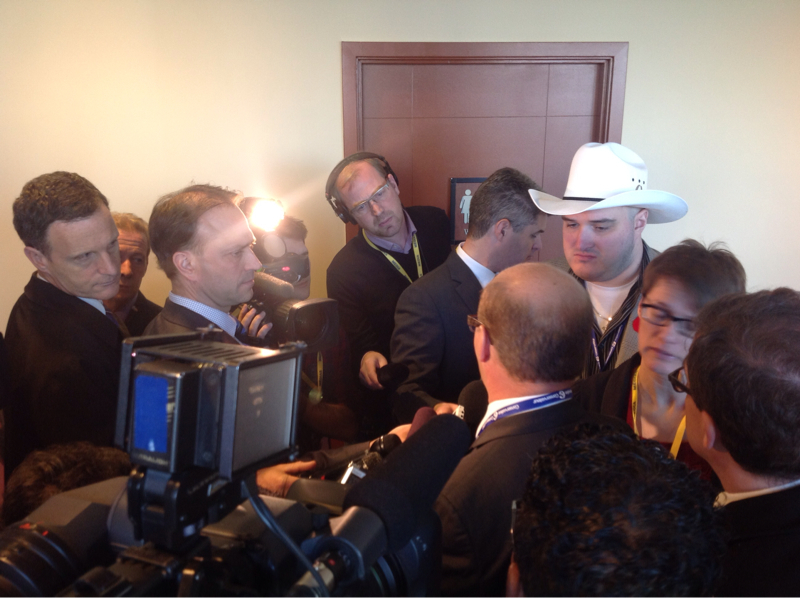 Follow CPAC's coverage of the Conservative Party of Canada's 2013 convention in Calgary, including the resolutions, policy debates, past conventions, and more! Suivez la couverture de CPAC consacrée au congrès 2013 du Parti conservateur du Canada, à Calgary -- y compris les résolutions, les débats sur les politiques, les congrès antérieurs, entre autres. In 1989 the Reform party issued a questionnaire to members. 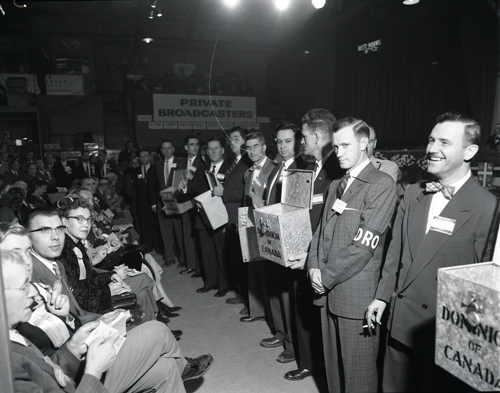 The results provide a snapshot of the fledgling party's make-up just two years after being established. #CPC13 is debating whether a nomination, even after appealed, can be overturned by the EDA...defeated. 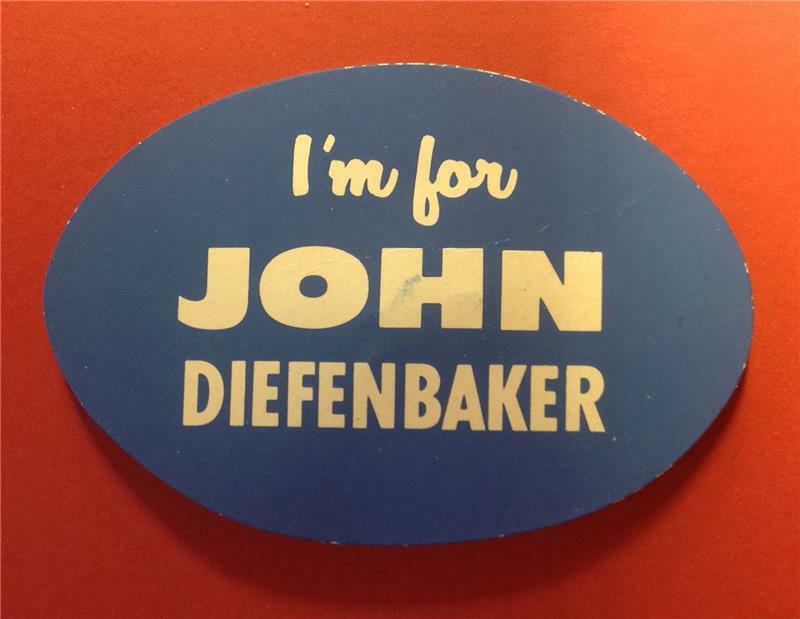 A campaign button from John Diefenbaker's successful 1956 leadership campaign, on file at the Library of Parliament in Ottawa. 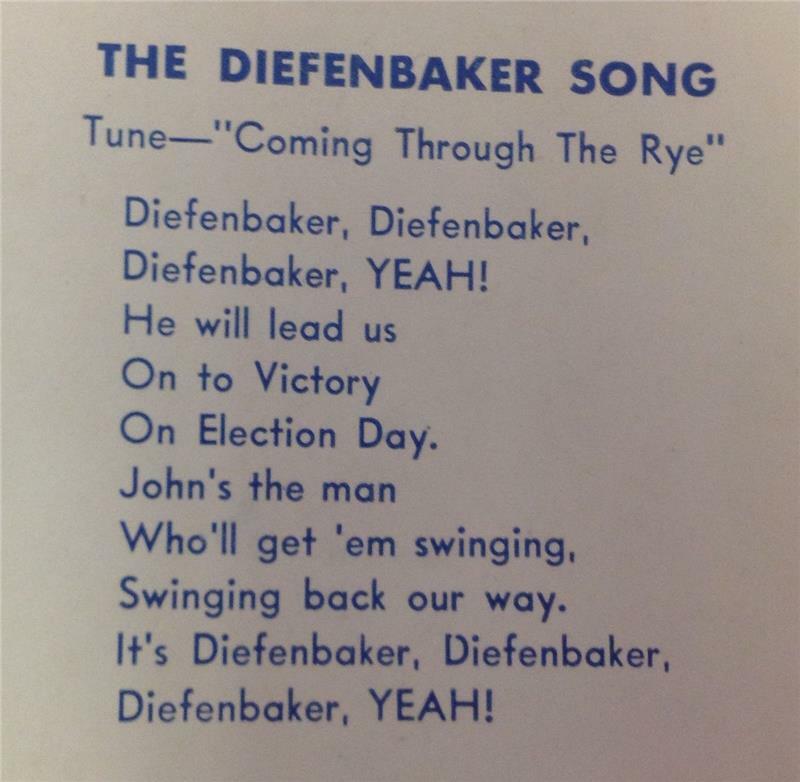 Supporters of John Diefenbaker sing their way to victory. Courtesy of the Library of Parliament. 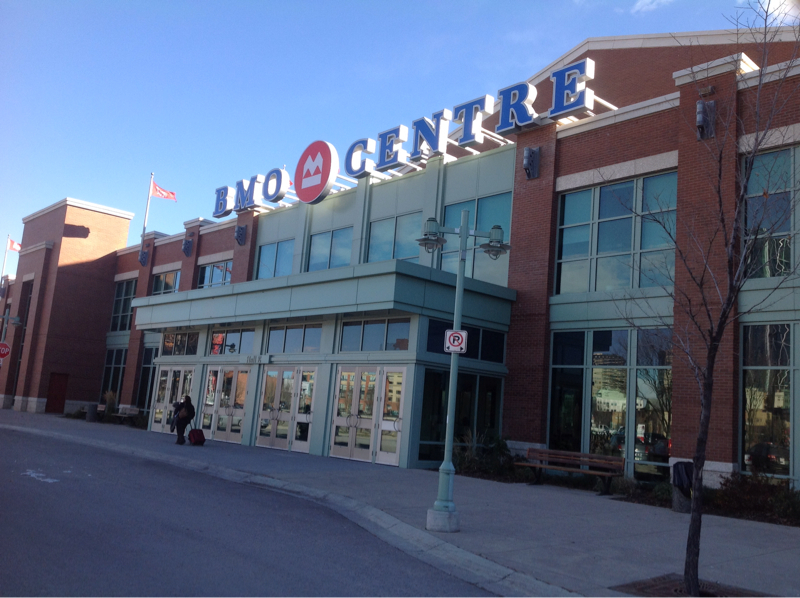 The convention moved from the Telus Convention Centre to the BMO Centre at Stampede Park after major flooding in June. Last week's massive flooding in Calgary has forced the Conservative Party of Canada to put off a policy convention planned for this weekend. “After being in discussions with various authorities regarding the situation, it became clear that holding the national convention at this time would not be in the best interests of thepeople of Calgary,” party president John Walsh said in a Saturday statement. “At this time the focus needs to be on the safety of Calgarians, and a convention our size with the security it entails could mean taking first responders away from the work they are doing. 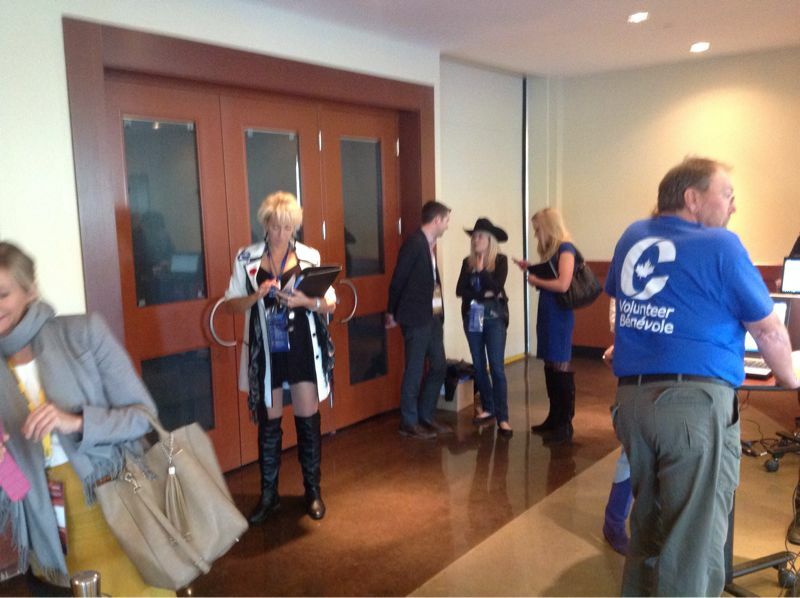 Conservative delegates were scheduled to arrive at downtown's Telus Convention Centre on Thursday for opening ceremonies. The building was closed when the City of Calgary declared a state of emergency. There were electrical issues but no water damage. The party's national council has yet to announce a new convention date. As always, we're looking for your thoughts. What should Prime Minister Stephen Harper say in his speech to Conservative delegates? Were delegates right to reject a call to change leadership selection rules? Can the party move past the Senate expense controversy? Leave your comments as part of CPAC's online coverage! 2011: Senator Pamela Wallin spoke during the opening ceremonies, followed by Senator Mike Duffy and Jacques Demers doing interviews on the floor with new MPs and delegates. Jason Kenney, John Baird, and Stockwell Day spoke. Robert Manion, elected leader of the Conservatives in 1938. 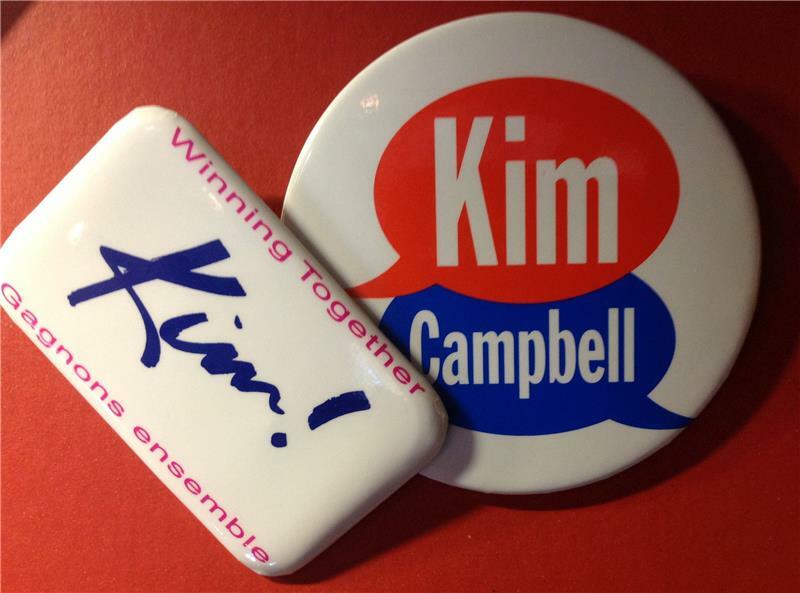 Campaign buttons from Kim Campbell's successful 1993 campaign to take over the Progressive Conservative leadership from Brian Mulroney. Library of Parliament. It seems the media is having the biggest issue with the senate. Karl does not know what most Canadians want so he should quit surmissing. @CPAC_TV nonexistent. He slithered his way around the entire issue. @CPAC_TV this speech is so delusional.....and is making me so angry! @CPAC_TV // They don't get it. We don't want to pay for a useless and irrelevant pig farm. Watch after the speech for reaction from journalists Joel-Denis Bellavance, Tim Harper, and Althia Raj.